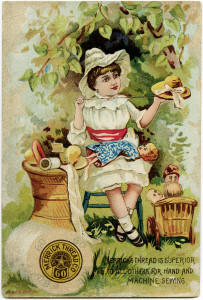 Here is a Victorian trading card with an image of a young girl stitching her doll’s hat. 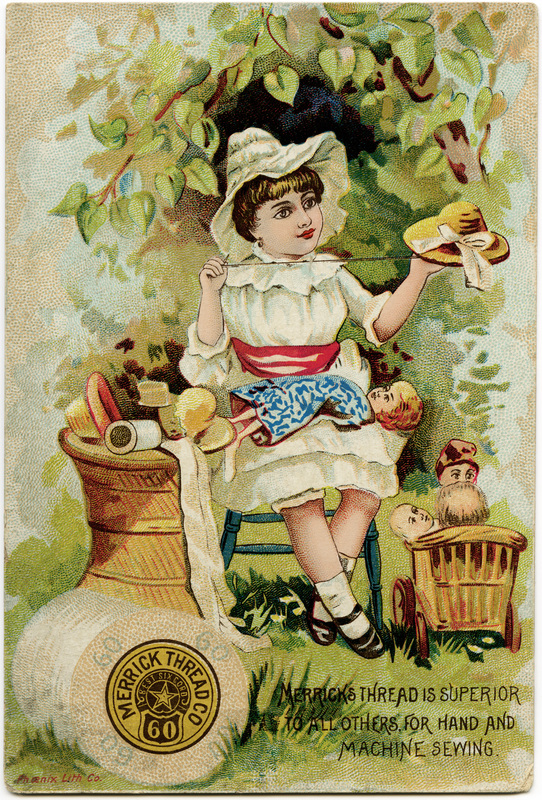 The advertisement on the card is for Merrick’s thread. Click on image to enlarge. Awesome image! I LOVE most anything vintage/retro…THANKS! !